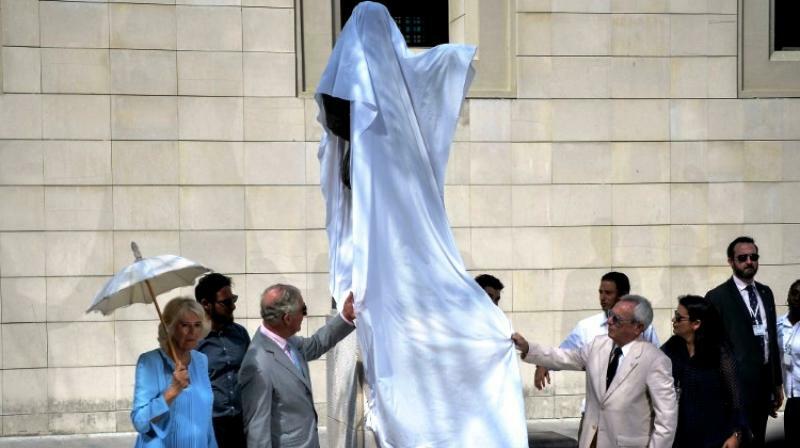 Britain's Prince Charles unveils Shakespeare statue in Havana. Havana: Britain's Prince Charles unveiled a statue of William Shakespeare in Havana when he took to the streets of old as part of the first visit by the British royal family to communist-run Cuba. Surrounded by a curious throng of Cubans and foreign tourists, Charles and his wife Camilla were given a guided tour of Havana landmarks by Cuban historian Eusebio Leal.